What Did You Call Me?!? She’s stylin’ in her striped stockings, gold laced shoes, and orange lace slip…. What every well dressed w—- spellcaster should be wearing…don’t you think? The kit is not currently listed in the online store, but you can call the shop and order one, if you’re dying to make a sassy little w—- sorceress for yourself this month…. 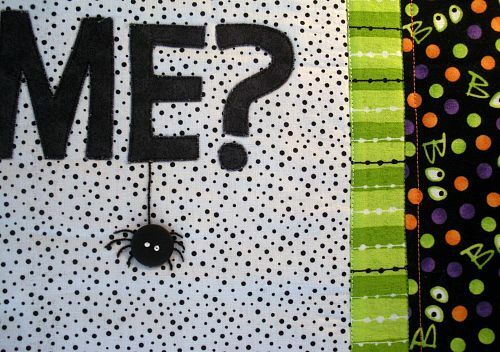 The book is full of fun projects; a candy corn apron, a tic-tac-toad game, table runners, etc…. 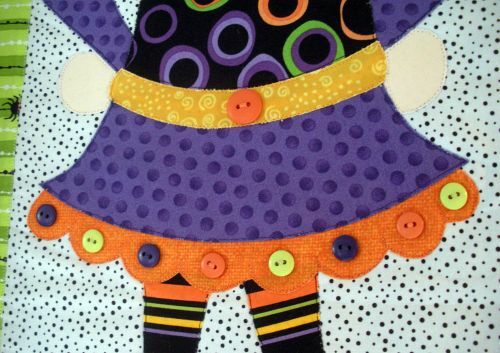 The book can be ordered from Quilters Cupboard as well. 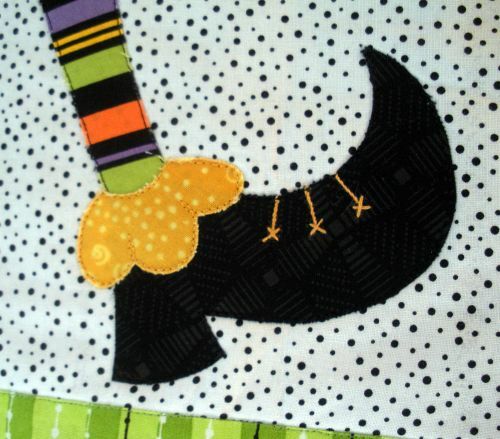 At the end of October, I will be giving away multiple prizes, including a quilted item, holiday fabric, patterns, etc. 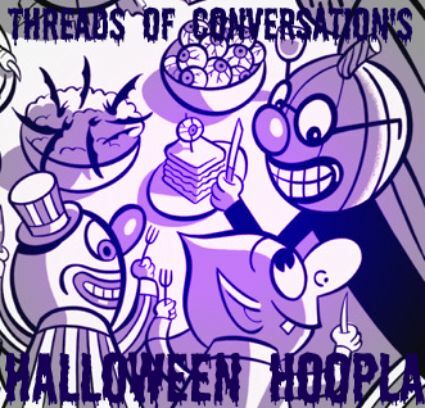 The more posts you comment on in October the better your chances of winning something! Follow my blog and you have an even better chance!!! 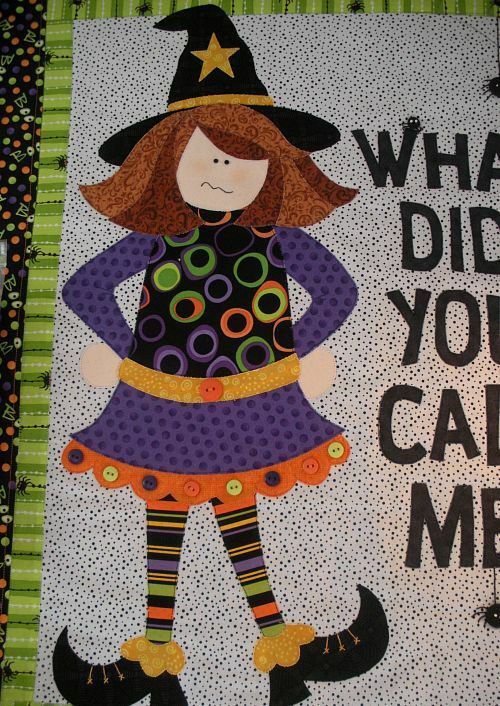 Have you ever sewn an Halloween goodies? Care to share a link in the comments, I’d love to see ’em! I just love the apron in the picture!! 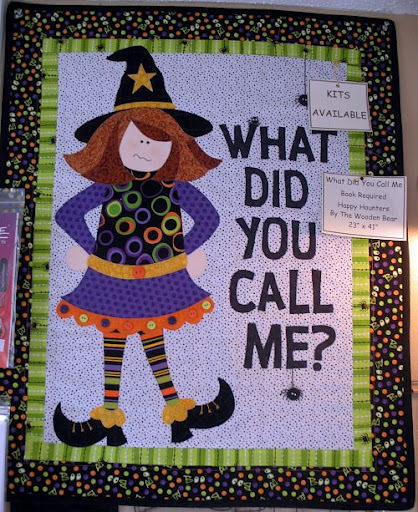 Oh I sooooo need one of those hangings for my sewing room! LOL Love it Doris! I am in LOVE with this quilt! I think I need to make every project in this book! Thanks for sharing! !